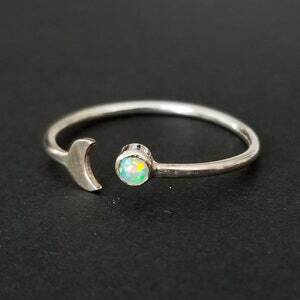 By the Power of the Moon, I command you to transform into the Goddess We all know you are ! 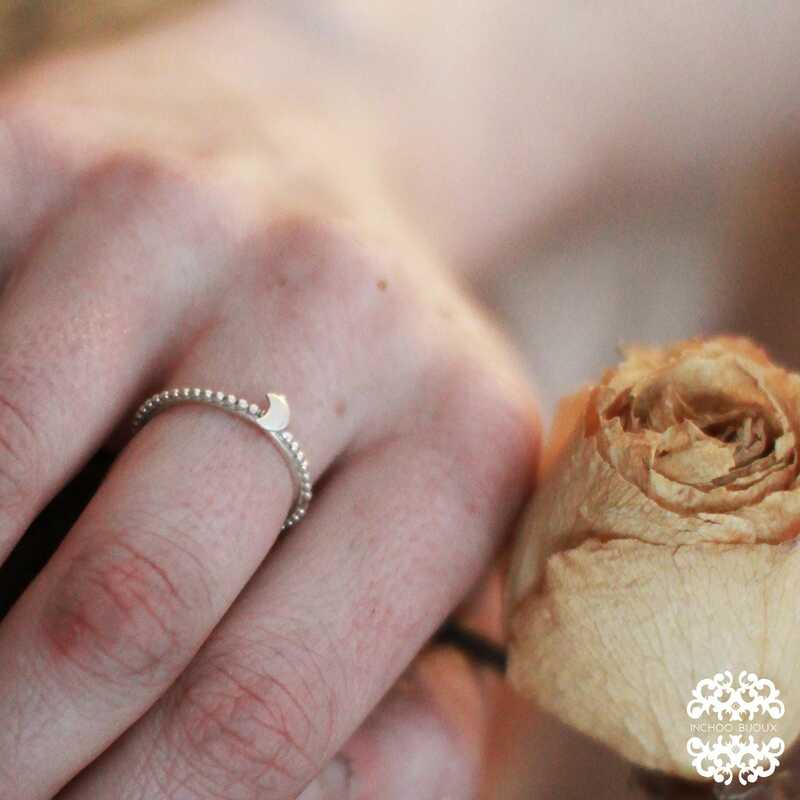 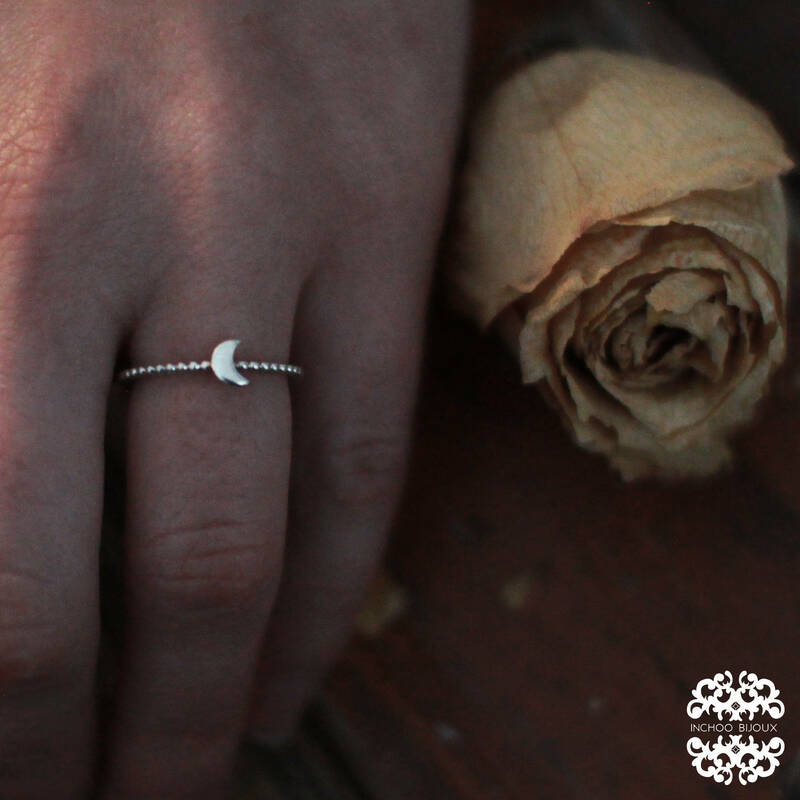 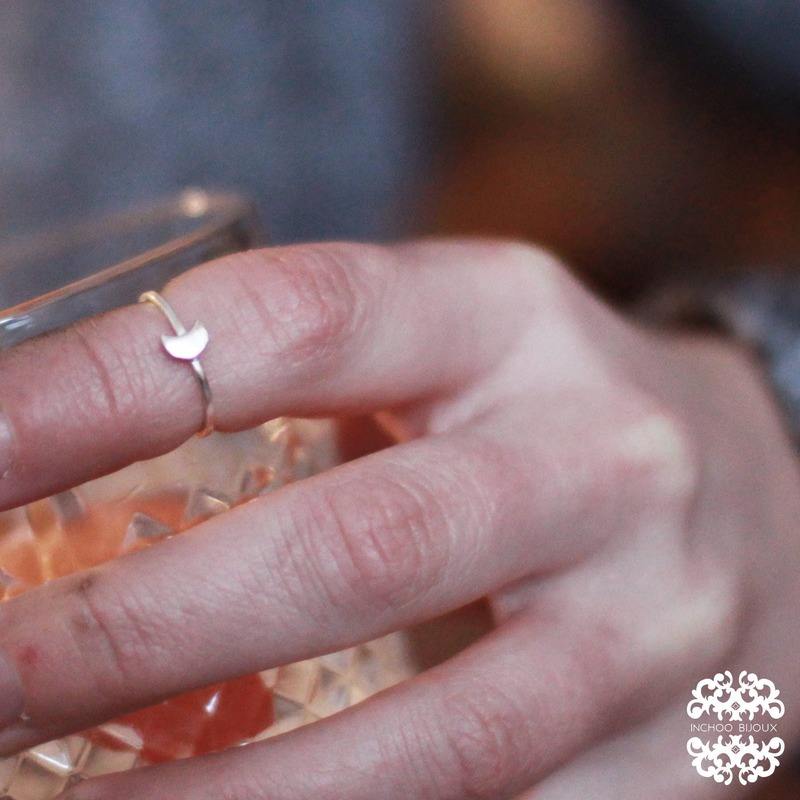 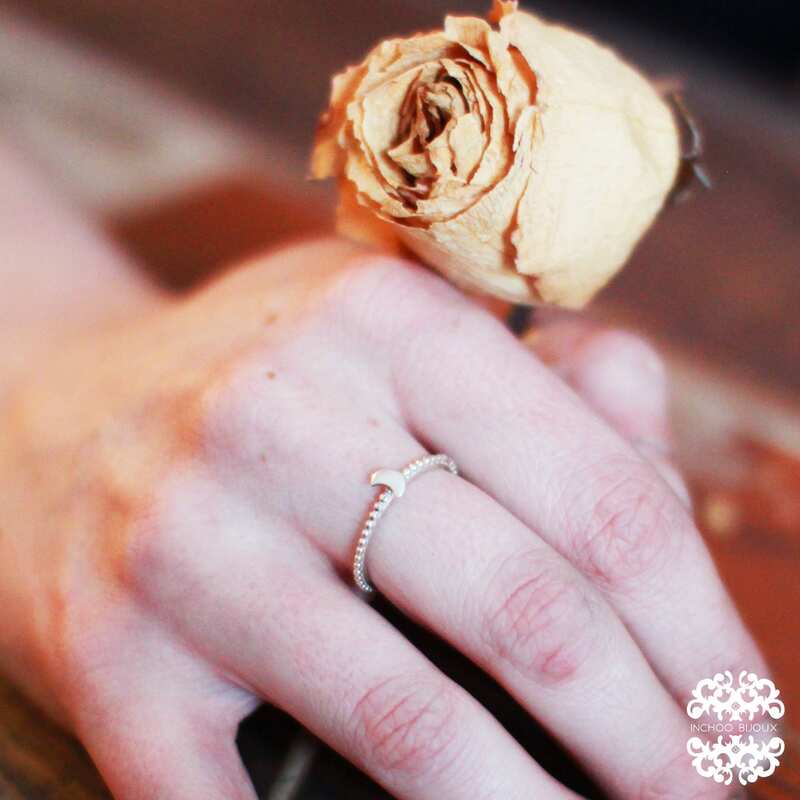 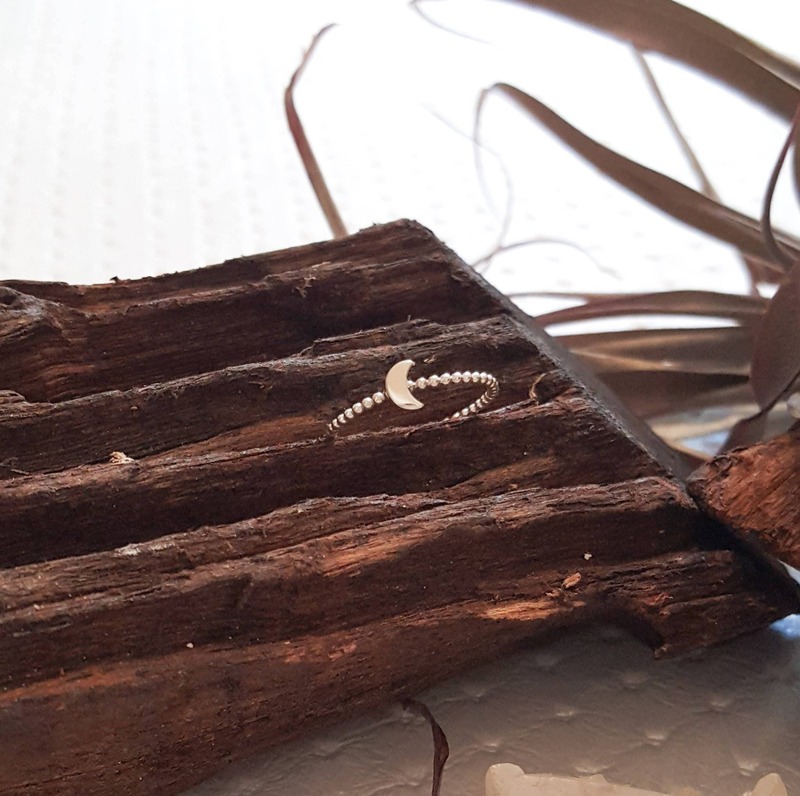 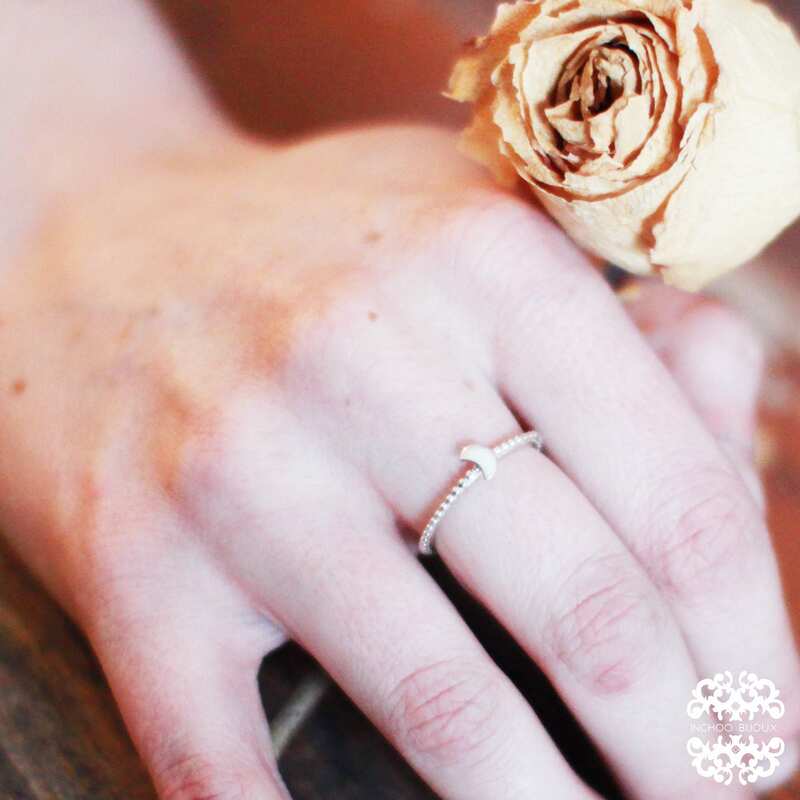 So delicate and cute, this Moon Crescent Ring is Minimal and made for stacking with other dainty rings ! 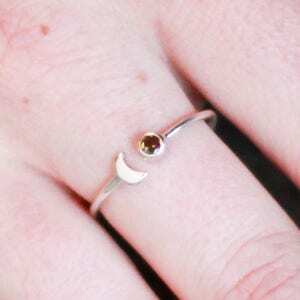 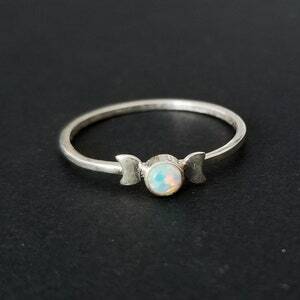 But you can also wear this Thin Moon Ring alone Miss Luna ! 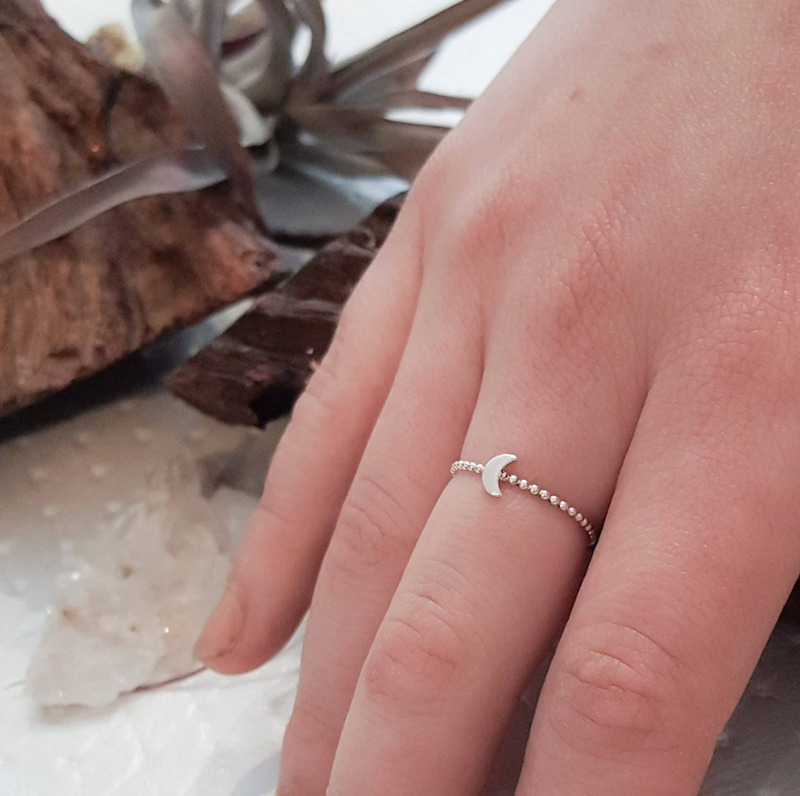 This Ring is the perfect gift for a Witchy Friend who loves Celestial Jewelry, Astrology and Gazzing into Space ! 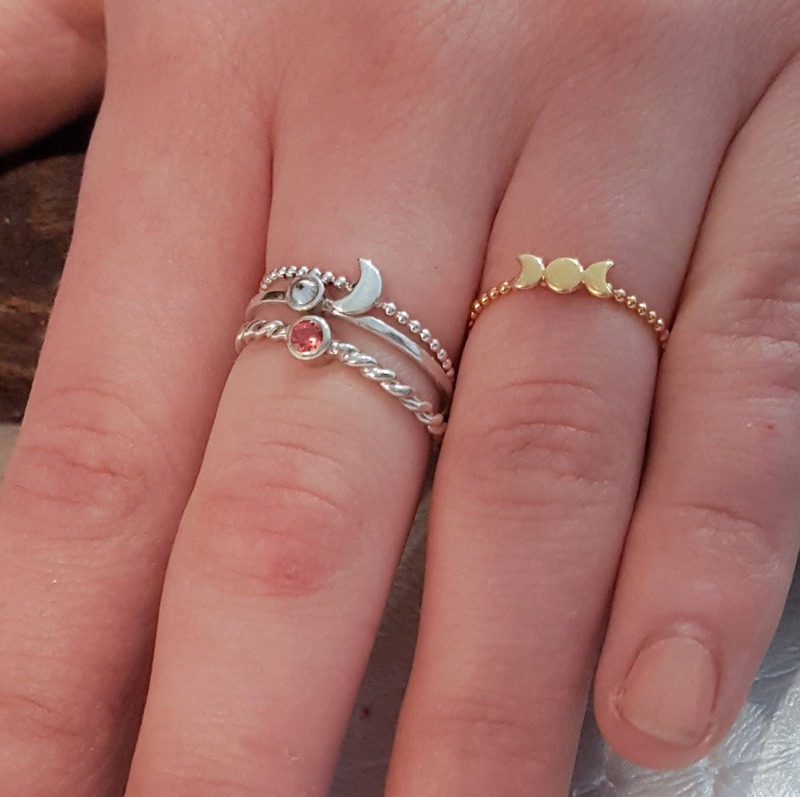 Sailor Moon says ! 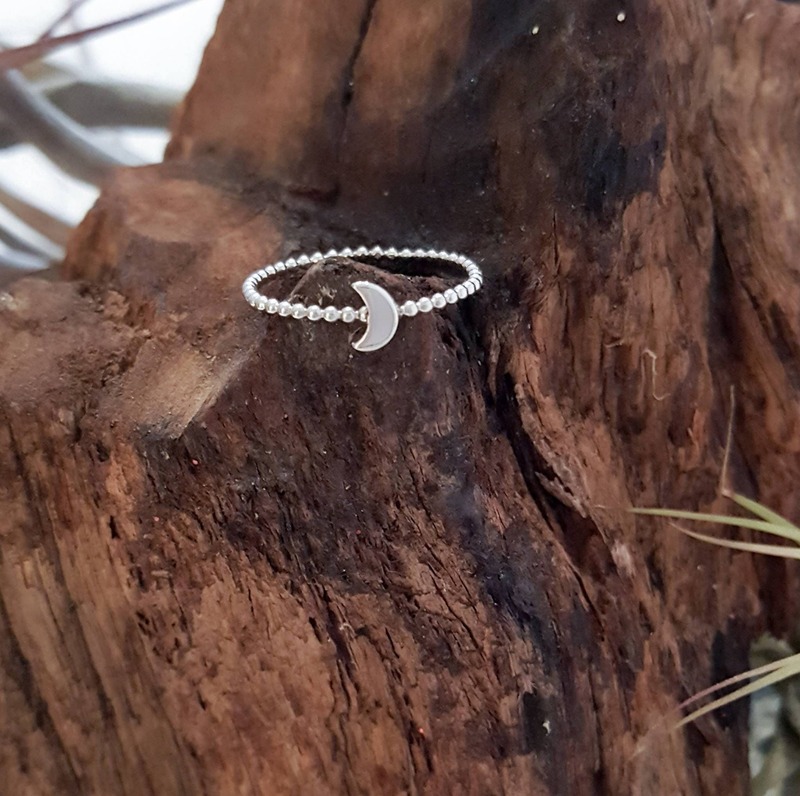 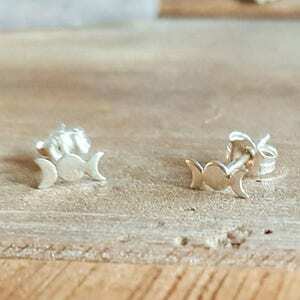 Listing is for 1 Sterling Silver Moon Cycle Midi Ring. 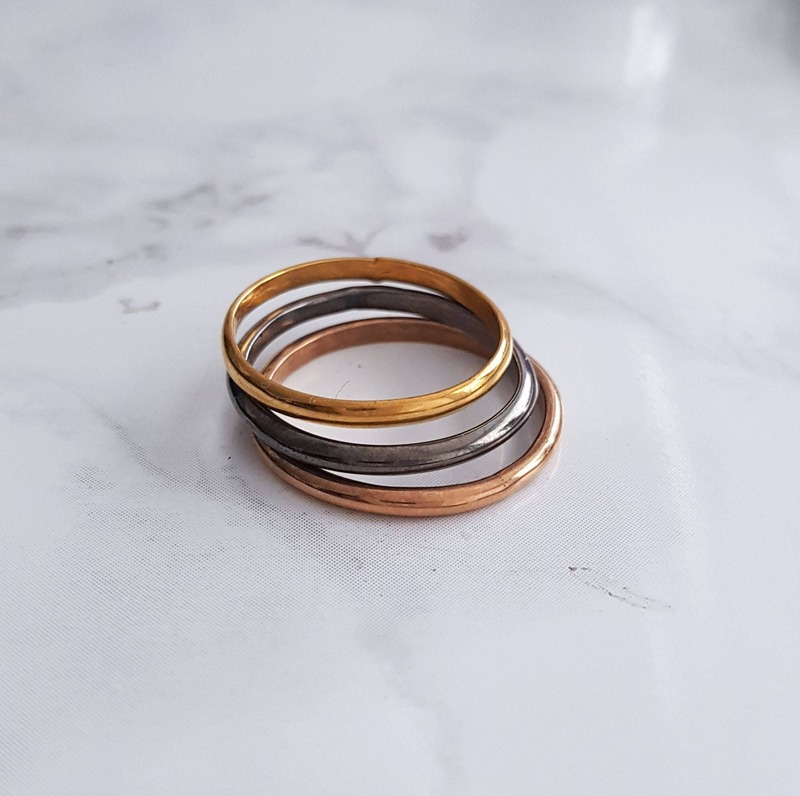 Please note that if you choose the dotted band, we now add a plain one soldered under it to add solidity.